We come from all walks of life, united by a common belief: that leadership is the key force to creating great impact, for good. We’re teachers, directors and outstanding leaders; Marines, musicians and athletes; Olympians, writers and actors. With decades of professional experience in a vast range of disciplines, we apply leadership practices from these diverse fields to our own principles. Working with our clients to discover which methods suit them best, together we create a unique coaching journey for each individual, team and organisation. Performance has always been at the heart of my life. When I was five, I started ballet classes. Alongside my dance, I also took up the violin. It was very hard. I persisted and worked my way to Grade 8. Toured with the Cambridge Youth Orchestra and danced at Sadlers Wells before attending University. Looking back, I now see how these early experiences began to shape my core beliefs about some vital conditions for performance improvement. Firstly, a total commitment to practice and the rigour involved; secondly, having someone to both support and challenge you to be better. As a teacher I worked in two inner city comprehensives. In both I noticed that some teachers had an almost magical influence over their students. Even children who were disaffected and disruptive for most of the day seemed to suddenly choose a different mood and act like committed pupils in their lessons. What were those great teachers doing to influence the children so they wanted to learn? And how might that relate to Business leaders and those they lead? This compelled me to found Coaching Impact in 2004. I now work alongside leaders and often their teams in a variety of organisations - like a curious detective - helping them define and then choose the most useful practices to measurably improve their performance and impact. Every interaction fuels my fascination for what it takes to be better at something. My personal ambition is to continue learning, practicing and improving in the spirit of impact for good. Running alongside my Dad as he cycled the Thames towpath calling out to his latest schoolboy crew is one of my favourite memories. I was 8. From his coaching (and book!) I learnt about the value of applying science to making a boat go faster and from the running I became a reasonable middle distance runner despite no talent at all! Both came together through my involvement in the British Miler’s Club. Founded by Frank Horwill, this was a movement that challenged conventional training practices and developed new practices based on science. For a time in the 80s, British middle distance athletes went faster and ruled the world. Then the rest of the world caught up! 11 years as a Royal Marines Officer taught me about the power of a high performance environment, a collective ethos and spirit that creates the conditions for ordinary people to achieve extraordinary performance over and over again through deliberate, rigourous, quality practice – and to stay cheerful, even in adversity. Since then, in the last 21 years, I have been lucky enough to continue to have fun and to learn with and from many great people including; international sportsmen and women, talented children, a writer, devoted charity leaders and remarkable people in all sorts of organisations from the FCO to leaders of Global companies and entrepreneurs running their own business from start up to scale. We make most progress when we work on real time very real opportunities. In every case my aim is simple; to help others to learn better ways to be stronger and to be measurably more successful – however they chose to define their success. At the heart of what I do is a belief that people have huge potential to grow, whatever their starting point. I am particularly interested in what drives each of us as unique individuals, and how we can use this uniqueness to build real understanding of ourselves and others, to generate the most from our opportunities. I work with individual leaders at all levels, and their teams, to deepen this self awareness, to generate real clarity about what success looks like for them, and to practise useful habits, so that people wake up to their day feeling more positive, productive, curious and energetic. In my coaching work, I have discovered that genuine awareness of the impact each of us can have on others, and our power to make this impact productive, increases both our humility and our capacity for performance and meaningful contribution. From the age of six I started playing the cornet and soon was playing in a number of different brass bands. This continued for over twelve years and included many concerts, various European tours and even recording an album! Carrying that sense of team and preparation into my working life, I’ve developed a passion for supporting others to be successful. I started providing support to individual leaders and soon discovered that their clients also enjoyed my support. My skills have developed over 25 years of experience offering diverse business and project support. I am driven and energised by the many client relationships I have built over the years and enjoy creating new relationships now. As my workload increased, I realised that maintaining my fitness was essential. Through persistent practice I have now become a committed and passionate runner. I have completed several half-marathons and countless 10k races. When I'm not running distance, I'm running CI. As CI has grown I have been able to grow too and a vital part of my role now is recruiting, developing and supporting a bigger team – which I love. I discovered the joy of bringing a story to life making theatre at school and Kings College London, and then working as a theatre and opera director across the UK. I ran my own theatre company and became Associate Director with Stephen Daldry at the Royal Court Theatre. Having successfully led actors to perform at their best onstage, I moved into TV, and as Series Script Editor on ‘Eastenders’, led the editorial team, and personally edited over 30 episodes, two of which won BAFTA awards. As part of a high profile, high performing team, my focus was on the impact of a great story on its audience. Then my husband became leader of a national organisation and my sister became a Head Teacher, and I witnessed the need for them to influence several different audiences every day. They, and their stories, had to be strong, clear, and resilient, and I was inspired to begin my work as a coach and facilitator. My theatre and media experience now feeds into my performance coaching. I collaborate with business leaders and their teams, helping them to build clarity and energy, make faster progress, and bring their leadership stories to life, for each of their audiences. My interest in performance has grown out of my desire to be the best coach I can, enjoy my time supporting my family, and looking after myself. I aim for these aspects of my life to support each other, and not compete. I believe deeply as a leader, coach and parent that to support the growth and development of others I need to model the practices I believe are key to creating a sustainable, resilient and energized life. These practices include being continuously curious to learn, share, and stretch myself, and take every opportunity to have fun! I have a background in senior management having held leadership roles in FMCG organisations. I work with senior leaders, on a one to one basis, and with leadership teams across a wide range of industries. I help them be the best version of themselves over the long run. I start by getting real clarity of purpose. I support and challenge my clients in equal measure. I feel lucky to have worked with so many fabulous clients and get immense personal satisfaction in knowing that I have played a part in delivering their desired change. My love of performance and the Arts started in my teenage years with music. Having worked my way to Grade 8 on three instruments, I was soon performing as an accomplished musician with various globe-trotting youth orchestras the highlight of which was playing to audiences of over two thousand in Brazil and Argentina. After university I worked as a Drama teacher in a London comprehensive, working to bring out the best in students from challenging backgrounds. I have grown a passion for enabling people to believe in and act on what is possible for them. As a senior manager at the school, I became an expert in state management - both my own and often that of others, particularly when facing highly charged situations and extremely challenging behaviours. My interest in learning more about resilience, communication and sustained high performance led me to become a performance coach. I now work with leaders and their teams in both Education and Business to enable them build and sustain the most useful practices and help them be more successful. I love to combine my passion for education, communication and performance with volunteering through my work as a governor of my fantastic local Special School and as Chair and Speaker Coach for TEDx Royal Tunbridge Wells. I started rowing at 13 and immediately fell in love with that magic feeling of being part of a team on a mission all together. Unfortunately though I wasn't much good at rowing, but I stuck at it and, after a lot of hard work, I finally made it into the GB Olympic Rowing Team ten years later; but then only to miss out on racing at my first Olympics in Sydney 2000, instead being selected as the “spare man” (aka the worst job in the world). Sitting on the sidelines watching the Best collect their Gold medals I was determined this was not going to destroy me, and from that moment I’ve been fascinated by what more is possible by the power of the mind and heart through belief, powerful choices and hard work. Over the next eight years I won two Olympic Gold medals as part of the GB Coxless Four in Athens 2004 and Beijing 2008, and four World Championship Golds. After retiring from rowing I wanted to test myself and the principles I learnt in rowing in other worlds and, amongst other challenges, I have summited Mount Everest and skied to the North Pole. I’ve been working with businesses for ten years sharing the mindsets, codes and approaches we have in the GB Olympic Rowing Team, on Mount Everest and in the Arctic, in order to help leaders and teams perform at their best. Over a period of 20 years I have a gained a unique blend of skills and knowledge by operating at Board level in a variety of roles and organisations. 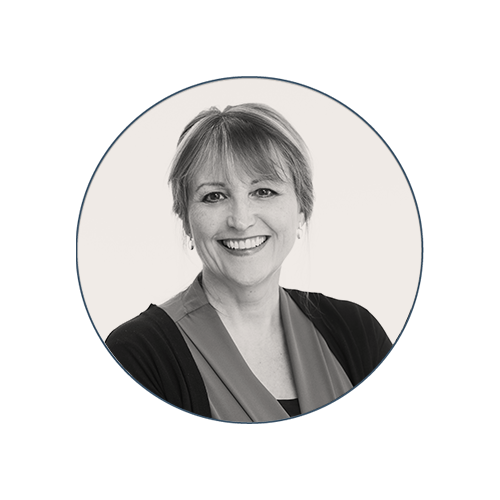 I have a strong track record of delivery across a range of disciplines including business transformation, service delivery, operational management and the integration of businesses. In one of my recent roles I was Chief Operating Officer on the Board of an incredibly successful, award-winning business with growth of 30% year on year, achieving £1bn turnover. I continue to have a huge passion for Rugby, having played for my local club over many years – always pushing myself to perform at my best. I am now Vice-President. Now a performance coach, I bring my experience and passion for leading and developing people to helping others realise their potential and improve business performance. As a TV Presenter for channels including the BBC, Channel 4, BTSport, Eurosport and the Extreme Sports Channel, I am passionate about the art of performance and impactful communication. At the London 2012 Olympic and Paralympic Games I presented Beach Volleyball, Hockey, Wheelchair Basketball and Paralympic Goalball. I have co-presented the England rugby show ‘“O2 Inside Line” with Austin Healey and the motoring game-show “Driving Wars” with Colin Murray. I have worked extensively in motorsport, bridging Sky Sports’ Speedway, Channel 4’s Formula Ford, ESPN’s SuperLeague Formula as well as a multitude of adrenaline-fuelled Red Bull events. I have recently become the host of BTSport’s flagship motorsport show “Motorsport Tonight”. My passion is unearthing the human story behind each athlete’s extreme physical challenges. This is especially hard when interviewing elite performers who’ve given their all, lost and just want to be left alone! Whether I’m interviewing defeated boxers, England rugby players, addressing live audiences of 100,000 plus or delivering live breaking news reports moments after completing the Boston marathon, I have learnt how to manage my performance under great pressure - often with people talking in my ear and with continuous live changes. Working with Coaching Impact, first as a client, and now as a performance coach, I have been able to share my expertise, stories and practices to help others learn ways to perform well under pressure too. I am a voice for “A Positive Image”, which recently met at the House of Commons to celebrate women in sport and work closely with the charity Place2Be. Performance has always been an important part of my life. Growing up, I had 2 main passions – music and sport. I started playing the violin and piano at the age of 7 and played in orchestras, performing regularly and touring in Europe most summers. I achieved my grade 8 violin and went on to do a music degree at university. Once there, the level of competition massively increased, and I enjoyed the challenge of gaining a place in the 80-strong university orchestra, which over 500 people auditioned for. At the same time, I had continued to focus on sport, particularly athletics, and I became Vice-Captain of my university athletics club and competed in the British Universities Sports Association championships. In both my music and my sport, I learned how valuable it was to have a coach whose role was to challenge, support and stretch me to do better, and to help me focus on exactly what I wanted to achieve. This led me to realise that I had a passion for wanting to help people to improve their own performance. I started my career working in HR in the music industry. I went on to work in learning and development, and it was here that I found my niche –creating opportunities for people to identify how they could improve performance and reach their potential. Since 2014, I have focused purely on facilitation and coaching, working with managers, leaders and their teams, enabling them to raise their bar and create high performing teams and environments. As a child, I changed nursery, primary and secondary schools. The challenge of learning to quickly adapt to new surroundings made a big impact and I wanted to continue doing this in my professional life. My career started in the financial services industry, where I had responsibility for delivering marketing campaigns and driving online revenue in target driven, pressurised environments. Keen to take my learnings around high performance and leadership in to a radically different environment, I swapped the skyscrapers of Canary Wharf for a remote village in Uganda where I helped the local community increase tourism to their campsite. I observed how even in an environment which didn’t seem to be conducive with growth, (poor education, sanitation, wealth) those individuals who welcomed change and were willing to practice new skills led and motivated others. This inspired me to work in a more challenging environment in the UK, so on my return,I took a community development role at a failing school in a socially-deprived area of London. I worked with students to raise their aspirations and develop the tools and mindsets needed to thrive in later life. These experiences ignited my passion for creating organisational change and led to my career as a Performance Coach. I am committed to supporting individuals and teams develop the behaviours, skills and practices that can help them perform at their absolute best. I find it hugely rewarding to help clients meet and often exceed their own expectations of success. I am currently working on my performance story and it will be available as soon as possible. As a boy, my passion was sport, and performing better than the rest meant everything. The first love was football - still is - and that early performance push resulted ultimately in having a trial for my beloved Liverpool – and scoring. (A poacher’s goal from two feet out but, hey, they all count.) What interests me, looking back, is how calm I remained about the whole experience surrounded by so many heroes. I just did what I had done most days for the preceding decade, focus on what I did well: playing the game. At university, my passion for sport was equalled by a passion for performing. The stage is very similar to the playing field. You soon work out what you do well. Once you know that, you work to perfect it. My skill lies in building relationships with an audience so a story can have the best possible impact. I've presented on radio for BBC R5, Talksport and Emap Nationwide, and on TV for BBC, BSkyB and Channel 5. I also write to help other performers build those same relationships. My two loves merged perfectly when I was asked to write scripts for BBC’s flagship live sporting event, Sports Personality Of The Year as well as Onside, hosted by John Inverdale. I also work with Scene & Heard, a London charity, building children's confidence by helping them write stories as powerful theatre. I have helped companies create impactful conferences for over twenty years. I work with leaders to strengthen their performance impact and prepare for what could be a stressful situation to confidently build a relaxed, warm relationship with their audience while focussing on performing to their best, enabling the audience to leave feeling motivated and ready to act. I recently retired from the Royal Marines after 36 years, having been Commandant General. I spent much of my commando service leading organisations and teams in conflict. My passion is for unlocking high performance and learning, and as Commandant of the Commando Training Centre Royal Marines, introduced a comprehensive coaching system to help Royal Marines at all levels perform at their best in very challenging situations. Since leaving, I use this experience and interest in human performance to develop ways to teach, coach and mentor leaders and teams, so they too learn to perform consistently well, especially under pressure. In 2001, I drove a rusty old banger down the east coast of Australia with three friends, following the British and Irish Lions tour on work experience with Sky Sports. Twelve years later I returned as Sky’s lead rugby presenter to tell the story of a gripping Lions series victory over the Wallabies. I’m often asked how I ended up in my dream role, and I always cite luck, passion and hard work. But that rather glosses over the reality of being thrown into the unforgiving environment of live broadcasting and just desperately trying to stay afloat. I went from tea boy to presenter inside 18 months without any formal training, all the while feeling totally out of control. Perhaps unsurprisingly, it is 'staying in control' that now forms the foundation stone of my impact coaching. Over the years I have gone from sleepless nights ahead of live broadcasts to relishing the opportunity to tell a story to millions of viewers. Along the way I have learnt how to feel comfortable in a high pressured environment, how to deliver a clear message, how to capture the moment, how to adapt and improvise, even how to handle it when things go wrong - and trust me, they do! I firmly believe the best way to improve performance is by doing it for real, but there are also a number of ways to accelerate the improvement process. After a decade under the bright lights I am now committed to helping others feel confident and in control when communicating. I have worked with high profile individuals, FTSE 100 companies and in schools and derive huge satisfaction from seeing clients progress. Through my own experience, I have come to believe that we can all perform well under pressure – whether that pressure is put upon us or self-induced. Having never been away from home, aged 20 I signed up for a course to work with horses which meant going to Maine, USA – for six months. I have always found horses to be elegant, noble creatures and incredible, patient teachers and this was an extraordinary summer camp. Homesickness meant I cried most nights for the first week but, through building routines of resilience as well as friendships with my colleagues and the horses, six months later I was crying at the prospect of having to leave. I had learned new skills, riding several different horses every day and taught over 50 young women to ride. Fast forward to 2017 and, when a colleague of mine at the HTA was taken ill, the Project management of co-ordinating the HTA Industry Garden at the RHS Chelsea Flower show was put on my desk a matter of months before the show was due to open. The aim was to have a celebratory garden for Gardening royalty, Peter Seabrook. I was way out of my comfort zone. I knew nothing about gardens or the flower show and we had no plan, no plants, and very little budget. I quickly pulled together a strategic plan and a key team. The Flower Show has a unique mode of working and, having listened to their needs, I realised that insider help was essential. I spent 2 weeks on site in the build-up, learning from different teams, builders, designers, labourers, gardeners, suppliers and colleagues. Not having the correct skill set to complete the task myself, I set about asking for help and advice from those who did, allowing them to use their favoured skill set alongside mine and those of my team. The success of our shared goal was majorly down to sharing and endorsing each other’s skills and ideas – the best and most productive. Growing up living in warmer climes from a very young age, I felt more comfortable in the water than on land. My passion for all sport, particularly swimming, grew throughout my childhood culminating in becoming County Junior freestyle champion in 1984. My next aim was to beat the long-standing school record and I spent time every day in the pool, pushing myself. I missed the record by 0.2 of a second but I felt ok. I had done the best I could do in the time I had, with the support of many… and we never gave up! That motivation has continued to drive me through almost 30 years in my working life. I am competitive, yes, but appreciate it takes a whole team working together to achieve great things. With a background in Operations, I am always challenging whether there is ‘a better way’ do something, creating or adapting tasks to make them as streamlined and simple as possible for myself and others, whether that’s the team, clients or suppliers, so everyone gains more time to work on the areas that matter most to them. I feel so passionately about individual and team development, an area I have worked in throughout my working life. Joining CI feeds that passion and enables me to continue as part of something that enriches peoples’ lives. I have been drawing as long as I can remember. I loved comics - Asterix especially - and used to sit at the back of class and redraw what I'd last read. Throughout my late teens even when I was distracted by acting, I still drew - and always cartoons - even learning scripts through little drawings in the margins. It wasn't until much later that I fully realised the artistic skill I had and I submitted a batch of cartoons to Private Eye. To my delight, they took one. The following month they took a few more. In 2002 I submitted a one-off cartoon of Shakespeare attempting a first draft of King Lear. They asked me if I would run it as a regular feature. This resulted with a series called First Drafts which is still running. In 2010 the Cartoon Art Trust awarded me the title of Gag Cartoonist of The Year – which sounds like a gag in itself. Having trained as an actor and stand-up comedian, the practices that I learned around maintaining control of my nerves under the pressure of performance marry perfectly with my natural artistic skill in the pressurised situation of drawing cartoons live at events - capturing and reacting in the moment to the messages being imparted from the stage. I do this at conferences for corporations across Europe as well as TEDx events. I have illustrated a number of publications, both internal ones for organisations as well as books for public consumption, like Terry Wogan’s The Little Book of Common Sense and, most recently for CI, The Shed Method – Making Better Choices Under Pressure.